Night of Man: The Battle for Earth’s Survival, in Your Mailbox! 20$ off on a copy of Night of Man for Mom (or you). Sunday is Mother’s Day and what better gift to give than the gift that keeps right on giving? The gift that lets Mom recreate the tactical battles for the survival of humanity? Okay, maybe some Moms won’t be interested, but Dad, you deserve a break too. 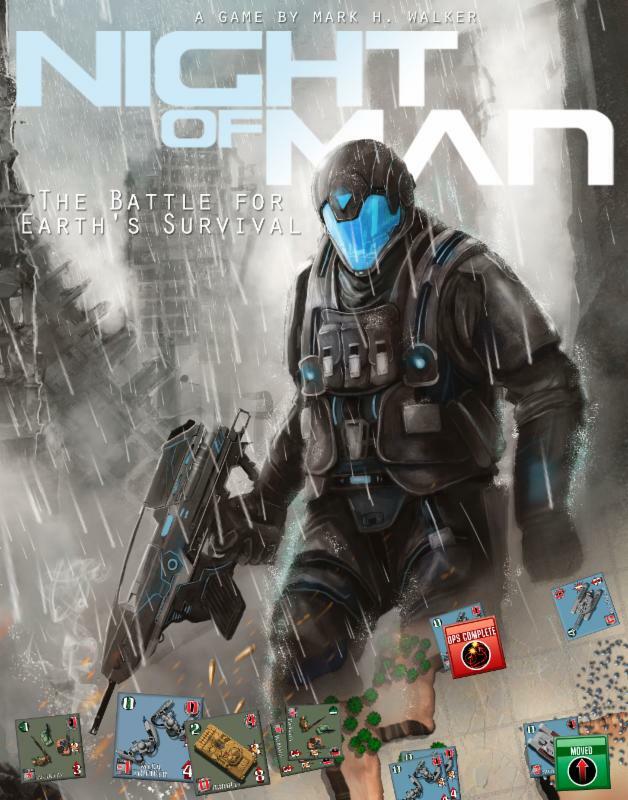 So, through Monday you can get $20 off a copy of Night of Man: The Battle for Earth’s Survival. Use code “mom20” (without parenthesis) to get $20 dollars off a copy of the Night of Man base game. Just check out normally, and then enter the code in the coupon box and presto! $20 is subtracted from your order. Order your game right here, The coupon is only good for the physical product, not the print and play version. Night of Man is a card-driven, chits and board tactical game. Set in a post-alien-invasion-of-Earth universe, the squads, heroes, and tanks of Earth’s Militia battle against powerful aliens with enhanced power armor, hover tanks, Walkers, and spider-like robots. Large box (approximately 9″ x 12″ x 3″).